For those who’ve been unfortunate enough to have become totally mesmerized by the empty, apparently soulless gaze of these creepy creatures, it’s a deeply frightful experience that no one who lives to tell the tale ever seems to forget. The real problem, of course, is that these stranger than strange strangers with chalky white skin, who may be much more akin to the faerie or demon folk of old, always seem to want nothing more (initially anyway) than to get IN — to your house, your car, you name it. And perhaps most perplexing and spooky of all, they absolutely MUST have a clear and present invitation from their intended victim. Yes, it’s a real paranormal puzzle for the ages, and in this trim but well written and highly accessible volume, the author does a better than average job of not only supplementing numerous harrowing accounts with these apparent supernatural beings, but even offers up his own interesting ideas about what’s really behind this ongoing mystery of the appearance (and often equally sudden disappearance) of troublesome tots (and even older looking folks) with eerie, soul sucking blacked out eye sockets that just seem to suddenly show up at the doorstep of unsuspecting folks all across America. And once they’ve darkened your door, these terrifying intruders begin begging, pleading, and even eventually DEMANDING to be let in. 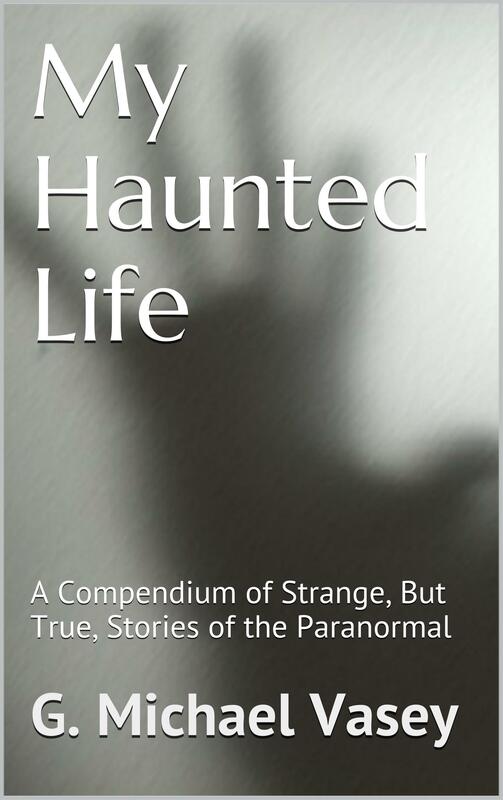 Make no mistake, this is but a short installment in the larger “Haunted Lives” series, yet despite its brevity, the author has really done a stellar job of touching upon pretty much all of the most pertinent aspects of the BEK puzzle. A longer volume would almost certainly have resulted in monotonous retread material, but thankfully, Mr. Vasey keeps very much on topic and does not skip a beat when it comes to pacing or overall content. Granted, this is more of an introductory essay on the ever creepy and inexplicable BEK (and equally intriguing, attendant WEK – White Eyed Kids) phenomenon, but even if that’s all it is, it’s still the best book I’ve yet encountered on the subject. Bravo, G. Michael Vasey! Keep the Haunted Lives books coming, good sir. By all means.